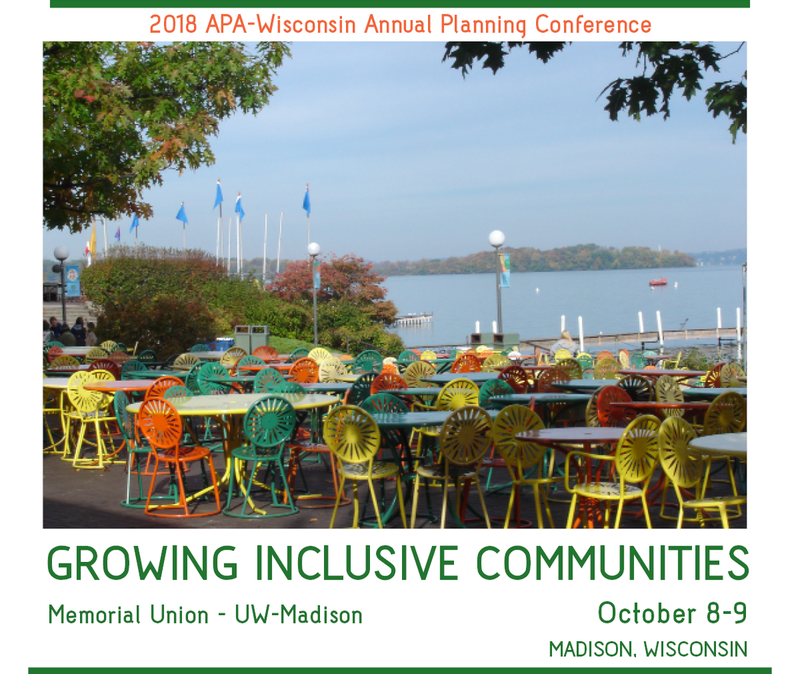 The 2018 APA-Wisconsin Chapter conference was themed "Growing Inclusive Communities" and focused on equitable planning. Access the 2018 conference program and conference presentations in the archive. 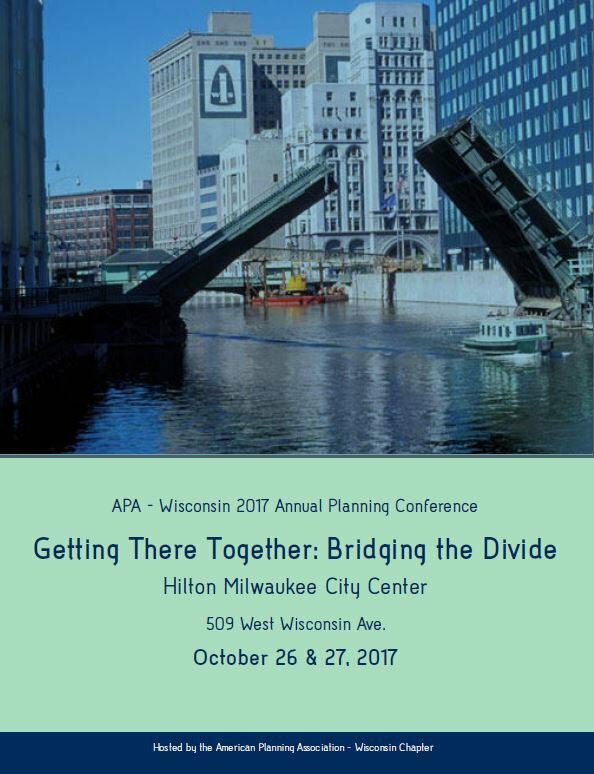 The 2017 APA-Wisconsin conference addressed "Getting There Together: Bridging the Divide." Access the 2017 conference program and eighteen conference presentations in the archive. 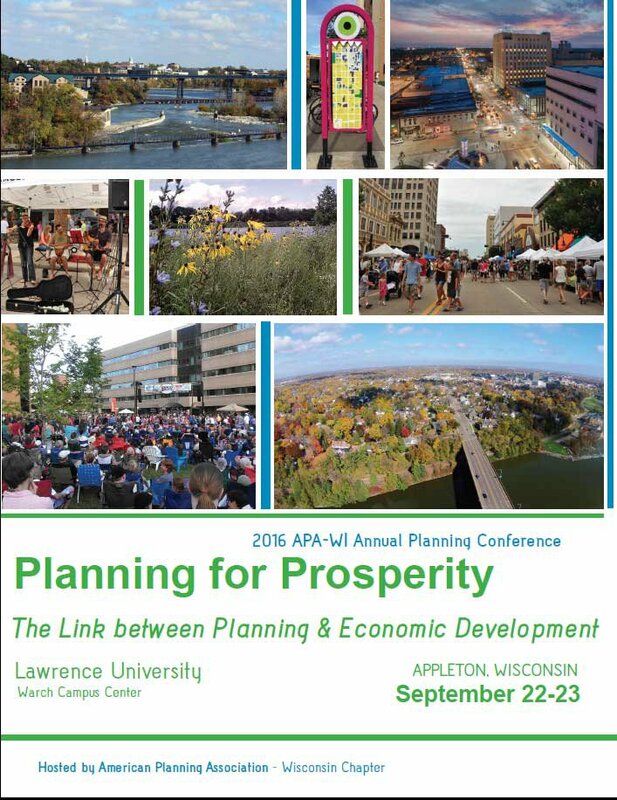 The 2016 conference theme was "Planning for Prosperity: The Link Between Planning & Economic Development." Access the 2016 conference program and twenty-five conference presentation in the archive. Here is another link to the archive of past conference presentations on our old website. We do have an archive on our current website - see above for the links for each year (only goes back to 2016).